Plan to start your day early, especially if you are coming in the Summer. In the Summer, opting to go later will mean taking a shuttle to Lake Louise from overflow parking lots, but there is no other way to get to Moraine Lake if you don't get parking. Rangers recommend 'before 7:30am' to get a spot. The total drive time from Lake Louise town centre to the last viewpoint for this day is under 40 minutes, so if you aren't planning to stay at one of the resorts, inns, or reservable campsites (which requires booking in advance), you can leave some flexibility here and choose one of the HI wilderness hostels along the way. 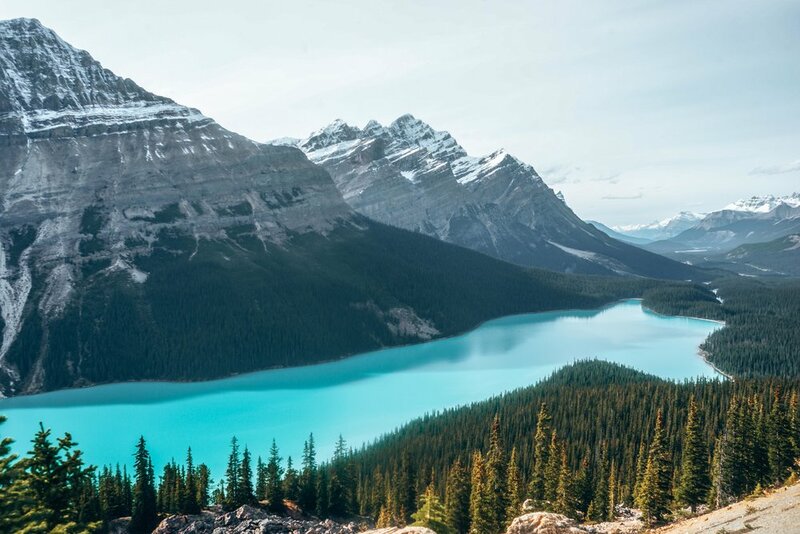 However, to see the sunrise the next day from Peyto Lake, the closest accommodation would be Num Ti Jah Lodge or HI Mosquito Creek. Optional: A couple other trailheads you will pass along the drive are for Bow Glacier Falls (9km, 3 hours) and Bow Peak (12km, 4-4.5 hours). Past the Peyto Lake viewpoint, trailheads include Parker Ridge (4km, 1-2 hours) and Mistaya Canyon. Take a worth-while detour to the Edith Cavell Glacier. Walk to the base of the glacial lake. 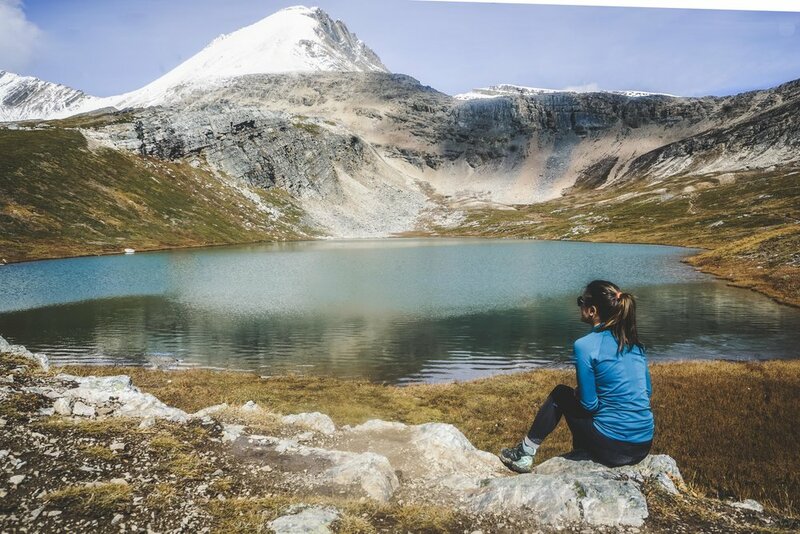 Option #1: Continue from the base of the Edith Cavell glacial lake to the Cavell Meadows Summit (9.5km, 4 hours). 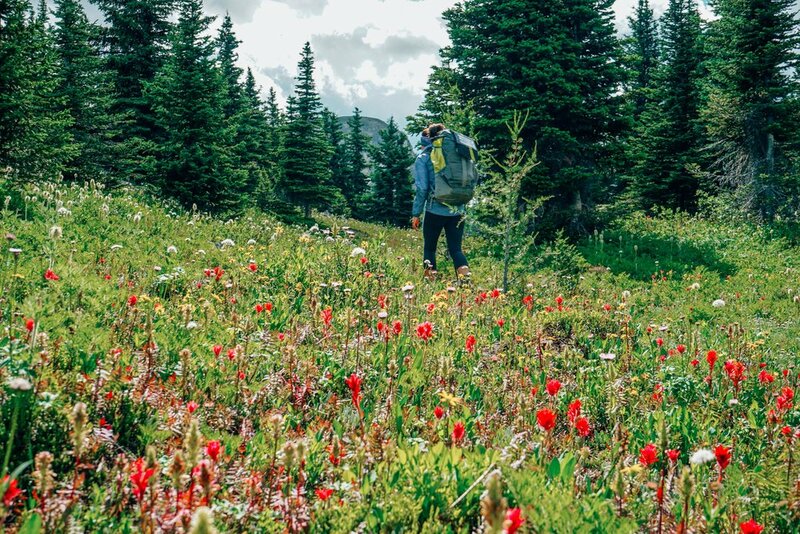 Option #2: Other highly rated hikes in the area include Campus Pass (31.9km, 10-12 hours), Verdant Pass (19km, 6-7 hours), and Tangle Ridge via Tangle Pass (17.6km, 6-8 hours). 1. Maligne Lake- The drive to Maligne Lake is extremely scenic so make a day of it- enjoy the restaurant and explore around the lake. Option to take a boat cruise to Spirit Island (although, kayaking (in good weather) to Spirit Island is preferable)! Sunrise from Spirit Island on Maligne Lake (40 minutes from Jasper) for an amazing morning in Jasper. You will need to book the photography boat cruise to Spirit Island to see the most stunning part of the last. You may see some kayakers out there and will definitely be inspired to make an overnight kayak trip happen soon! 1. The Siding Cafe- One of my favorite lunch spots with vegan and vegetarian options in the Rockies! 1. (High End) Emerald Lake Lodge in Field, BC- If you are willing to splurge, this is the one. It is secluded, private, and adorable. 3. (Moderate) Lamphouse Hotel in Canmore, AB- A newly renovated historic hotel in the middle of Canmore. 3. (Budget) HI Lake Louise- I really liked this hostel and even enjoyed the restaurant. This 5-day Canada Itinerary shares the most authentic, efficient, and photogenic way to see the Canadian Rockies. 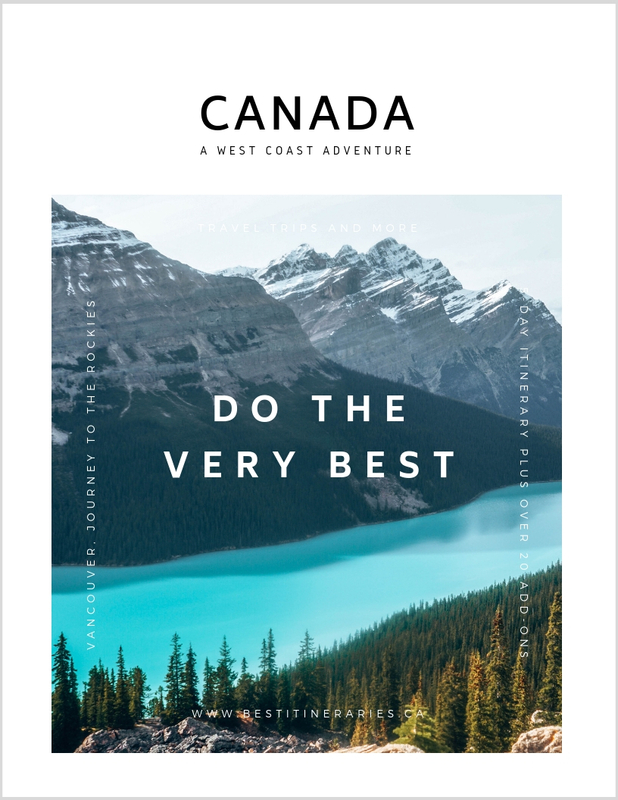 To see more of the Rockies, plus Vancouver and beautiful British Columbia see my full Canada Guide.